Banks in Asia-Pacific and North America will increase their IT investment significantly more than those in Europe, with inflation creating a situation where European spending is flat at best and even a reduction in real terms. Combined bank IT spending across the three regions will increase by 3.4% to $179.2bn in 2013, compared with 2012, according to Celent’s IT spending in banking: A global perspective report. “Although 2012 saw a reduction in global IT spending growth, 2013 will take us to more positive and encouraging territory. There are, however, regional nuances that impact these figures, as the picture is not encouraging across all regions,” said the report. IT spending by banks in Europe will grow by 0.4% in 2013 to $59.5bn, with an increase of just 0.3% in 2015. Asia-Pacific banks will increase IT spending by 5.9% in 2013 to $62.3bn, and this growth will continue in 2014 with a 5.8% increase, reaching a total of $66.5bn. North American banks are also positive, with a 4% increase taking the total IT spend to $56.9bn in 2013, followed by a 4.4% increase in 2014 taking the total spend to $59.4bn. 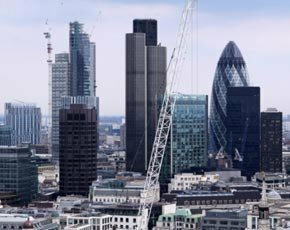 With 140,000 pages of financial services regulation published in the past two years, UK banks have to perform a balancing act when it comes to IT investments. What does 2013 hold for financial services IT? European bank IT transformations – optimistic or unrealistic? While rules introduced to make it easier for consumers to switch accounts will overtly force banks to invest in IT, there are covert pressures emanating from customer demand, such as the need for mobile banking platforms. The capital required to maintain systems will account for 77.1% of total bank IT spending – $138.2bn. Celent said this percentage will fall a little to 76.6% by the end of 2015. “European banks are having the most difficulty in reducing their maintenance spending,” warned Celent in its report. Recent research by IT supplier Infosys and banking association Efma revealed that almost three-quarters of retail banks are increasing the amount they spend on innovation as they attempt to better engage customers through mobile and online channels. According to the study of 300 banks in 66 countries, 70% are planning to increase their spending on innovation, with the mobile and online channels seen as the most important delivery channels for innovation. The Celent report said it was time for banks to replace legacy systems that have been in place for decades. “Frequently, financial institutions are running systems that are too obsolete, too slow, and inflexible,” it said. “Systems like these prevent banks from achieving optimum operational efficiency, impede product development and increase operational risk. Slowly but surely, many financial services firms that rely on technologies that are nearly 30 years old are realising the competitive advantage of modernising their core systems and byzantine legacy systems,” the report said.